The Central Museum located at Indore displays some of the rare and elegant collection that deserves the status of being maintained, for the generations to see and learn from them. The main things that are on display at the museum are the Parmer Scriptures, different coins, armours and artifices. The history of the Central Museum at Indore dates back to the time of the Holka Dynasty when the Kings of the Holka Dynasty were persuaded to submit to the British, and so, a large part of the kingdom needed to be surrendered. This included their capital also, the present Cantonment. he Central Museum also showcases the idols of hindu Gods and Goddesses being worshipped. The main collection of this museum are broken parts of ancient temple and Buddhist Jain temples. Most of the statues are in the partially destroyed which are collected from a different place of Madhya Pradesh. The wonderful museum attracts a number of tourist from various places and it is must visit place of Indore. 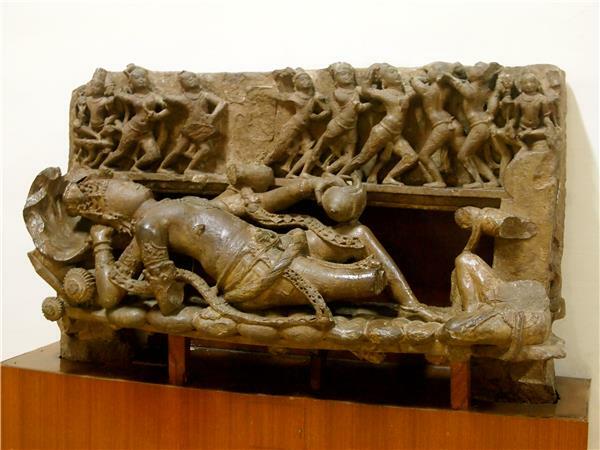 Central museum or Indore museum is one of the most well-known attractions in Indore. It is a must-visit for those who love Indian history and especially the history of the state of Madhya Pradesh. It has one of best collections of medieval and pre-medieval Hindu and Jain sculptures in the state. The Central Museum also boasts one of the best collections of medieval and pre-medieval Hindu and Jain sculpture in Madhya Pradesh. These sculptures have been finely carved and date back from the reign of the Guptas to the Paramanas. They have been collected from the ruins of the 11th-12th century temples at Hinglajgarh. They usually depict Harihara, Shiva and Parvati seated on Nandi, standing Parvati and a damaged Chamunda. There are two galleries in the Museum. Gallery I display artifacts from MP’s prehistoric period ranging from 5,000 – 4,000BC. There are exhibits from western Malwa as well, which include stone tools, quartz sickles, ornaments and items of domestic use. The museum is also famous for its collection of coins, arms and armor. You can visit the Museum on all days except Monday between 10:00 am and 05:00 pm. There is no admission fee. Guides are also available for the convenience of the visitors. Indore Museum known as the Central Museum. It is located on the A. B. Road ! It is one of the finest repositories of the best specimen of Parmar art & architecture representing Hinglajgarh School, which originated in this region ! One of the most prominent attractions here are the Copper plates from Bagh (near Mandu), which are unique ! The museum also has a collection inscribed cannons used in battles by rulers including Babur, Humayun, Sher Shah Suri, and Jehangir, acquired at the battle of Sikandra by Malhar Rao Holkar I ! These are also, of course, unique – communicating the military history of the Mughals and the Surs ! There is large number of Hindu and Jain sculptures, linked with medieval and pre-medieval times, including those of lord Shiva and goddess Parvati ! The museum has a great collection of stone tools, ornaments, paintings, Bronze & terracotta coins, arms, sculptures, etc. ! It is worth a day-long visit ! It is open for visitors from 10:00 AM to 05:00 PM, Tuesday through Sunday (Closed on Monday) ! Cabs in Indore charge Rs 10 per kilometer, and a minimum of Rs 35 as the starting rate. Star Cabs- Phone: 0731-63333333 ; Metro Taxi- Phone: 0731-4288888. Indore city has two bus stand one is Gangwal Bus Stand:Dhar Road, Indore, Madhya Pradesh and second is MP Tourism Bus Stand near AB road. Regular bus services are available from Ujjain (55 km), Delhi (800 km) and Mumbai (655 km) to Indore Ujjain. Super fast and Deluxe A/C buses are also available in these routes. Buses in Indore ply to all parts of the city, including all the major and minor areas in the region. Buses are the cheapest mode of travel in Indore, and tourists can opt for such bus travel in case they’re aware of the location of their particular destination. Bus fares may range anywhere from Rs 5 to 25. The city has four railway stations Rajendra Nagar,Lokmanya Nagar,Saifee Nagar,Lakshmibai Nagar from where connecting trains to all the metro cities and the other important neighboring cities can be boarded. The Malwa Express to Delhi, the Avantika Express to Mumbai, and the Intercity Express between Indore and Bhopal are among the important trains connecting Indore with the other Indian cities. The longest functional meter gauge route in India, between Jaipur and Purna passes through Indore. After getting down at the railway station, take an auto-rickshaw, bus or hire a taxi to reach the destination within the city. Auto rickshaws are available in Indore, and these do not run on meter. Tourists should negotiate a rate beforehand while traveling through auto rickshaws, and they need to confirm these rates with locals who live in the area. Auto rickshaw fares may range from Rs 20 to 100, depending on the distance involved. There are no separate night fares, and auto rickshaws can be a safe mode of travel during night time, even though the city is very secure. There are share auto rickshaws from specific locations, and these are very cheap. Do not touch the artifacts in museum.